Set up will occur the day of the match beginning at noon. Gate will be open at 10am day of the match. Check Practiscore for detail registration info, Safety meeting and Match start times. Safety meeting is mandatory for all competitors. Each match will feature three to five official SCSA stages. Minimum round-count will be 75-250 rounds depending on number of stages. Eye and hearing protection is required for all competitors and spectators. Anyone observed without eye or hearing protection will be required to leave the shooting area until such eye and hearing protection is worn or used. Rimfire competition does not involve the use of a holster. It is permissible for a Rimfire pistol to be transported between stages in a holster. Either a gun case or a holster must be used for transport. The use of 3-gun carts for transporting Rimfire Rifles and Pistol Caliber Carbines is permitted at all match levels. The long gun must be flagged at all times. 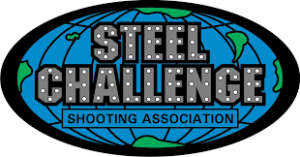 All match scores are uploaded to Steel Challenge and can be found at Practiscore by clicking on “Results” and searching for “LCHG”.